So how many of you have been on countless liver detoxifications, taken milk thistle for years but still don't see the benefit? 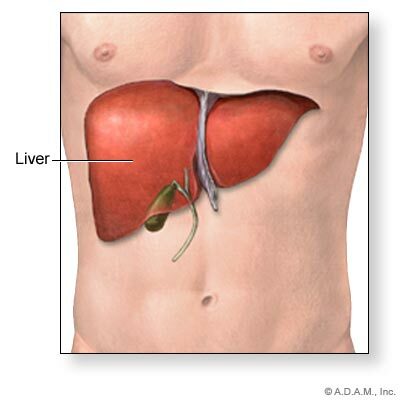 How many have been detoxifying their liver for years with little to know results? Believe it or not, this is typically the case because there is so much more to detoxification than the liver. First it is important to establish the fact that all your systems of elimination and detoxification need to be in proper function. This includes not only the liver but kidneys, lymphatic system, lungs, colon and skin. Let's look at the liver itself though. First understand that the job of your liver is to take hormones, drugs and other toxins and express hepatic transformation via the phase I and phase II pathways within the liver. They are then eliminated through the phase III pathway. Together your genotype and lifestyle choices will provide what is referred to as your hepatic phenotype or the expression of overall detoxification pathways via your liver. Proper function on these levels will take the determined hormones, drugs and/or toxins, convert them from active materials into inactive metabolites and release through a healthy phase III. In a healthy body and healthy phenotype, this will cycle with ease. If this proper function in any of the three phases of liver detoxification are less than optimal this will significantly hinder your body's ability to clear toxins. If this is the case, this will likely lead to brain disorders, auto immunity, chronic inflammatory conditions, chronic pain and adrenal dysfunction as well as many other potential imbalances. I also want to bring up a very important point, recognizing that the proper function of these three phases of liver detoxification depend on healthy brain function. To be a bit more specific, the brain dopaminergic system has been established as an important center regulating the liver. As this dopamine system activity decreases, this is equally expressed in liver function. Here is a list of clinical symptoms recognized with low dopamine. It is equally important to recognize the tie of the Vagus nerve and your liver function. Remember from previous posts about the gut/brain connection that the Vagus nerve connects the brain to the gut and liver. 90% of your brain output goes straight down this Vagus nerve into the gut and liver. In the end, this will significantly effect liver detoxification. If this sounds like a challenge for you, I would suggest reviewing this article on the Gut/Brain Connection. When discussing detoxification, it is always important to address your own body's chemical tolerance. This plays another significant role in your body's ability to detoxify properly. To learn more on this area of your body's detoxification read this article. We will address this even further within future articles. Intolerance to shampoo, lotions, detergents, ect. Hopefully you have a much further understanding of the liver as well as other areas that tie into proper detoxification within your body. If you have any questions or concerns that pertain to this article, leave a post below and I will address this personally. If you see many challenges for yourself personally within this article, you are welcome to call my office directly to discuss the potential of address this with Depke Wellness either in office or via phone consultation. Call direct at 949.954.6225. Why Doesn't Holistic Health Work for Me?